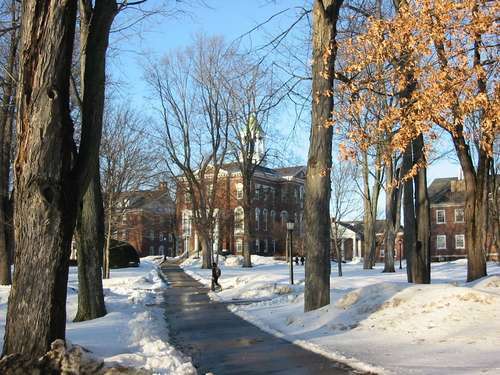 03.28.08 On February 2, 2008 the Bobcat Open was played at Bates College in Lewiston, Maine. Forty players turned out in three sections--Open, Under 1601 and the Rated Beginners Open (Under 1200). Steven Dillon took clear first in the Open with 3.5 points. He was trailled by Eric Moskow who made the trip up from Florida to participate in this tournament and Andrew Tichenor. 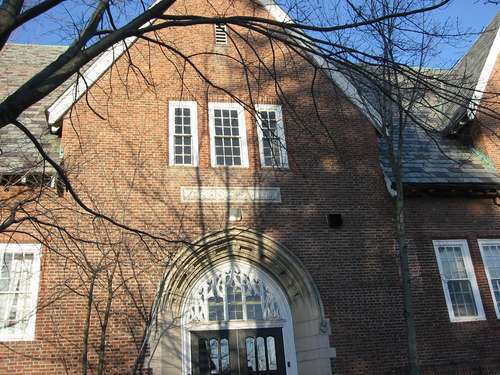 Chase Hall at Bates College was the site of the 2008 Bobcat Open. Thanks to Dan Fishbein and Phil Lowell for contributing to this report. 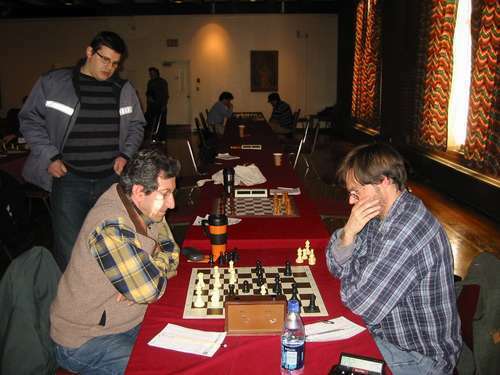 Steven Dillon returned to USCF-rated chess with a bang. Not having played in a rated tournament for nearly eleven years, Dillon won three games and drew one to score 3.5 points and take first place in the first (hopefully annual) Bobcat Open. Eric Moskow, father of tournament organizer Elliot Moskow, flew up from Florida to compete in his son's tournament and tied for second with Andrew Tichenor both scoring 3.0 points. 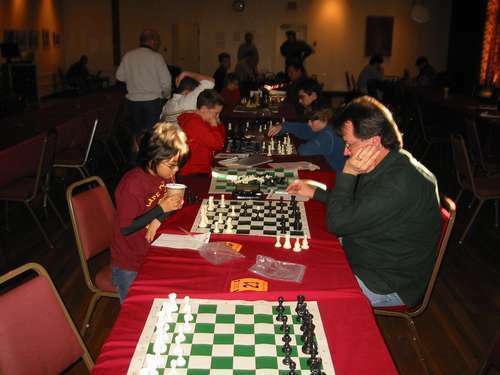 Portland Chess Club stalwart Frank Di Renzo won the U1601 section with a perfect score of 4.0 points. A three-way tie for second ensued between Nicholas Parsons, Michael Dudley, and Max Berube each scoring 3.0 points. In the Rated Beginners Open it was all Dan Fishbein who scored 4.0 to take first. Following Fishbein were a juggernaut of four players with 3.0 points: Vincent Demarco, Gheorghe Teodorescu, William Burtt and Ethan Dininno. 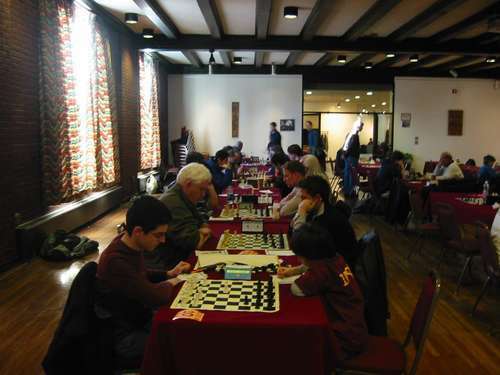 This tournament was organized by Bates College student Elliot Moskow and directed by Phil Lowell. 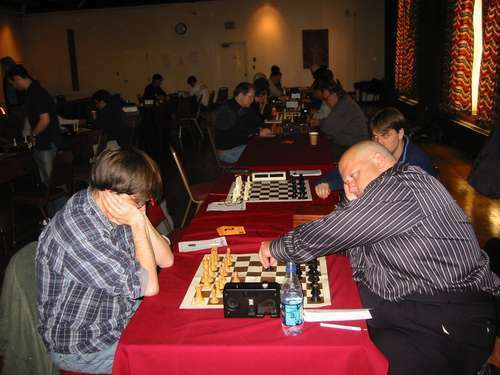 Tournamnet winner Steven Dillon (right) plays the black pieces vs. Ruben Babayan, 0-1. 1. Nf3 c5 begins Dillon's third round game with Eric Moskow. This game ended in a draw. Leo Wing (left) and Kerry Magee mix it up in the in the RBO. tournament tied for second with 3.0 points, Daniel Fishbein (Cape Elizabeth) scored 4.0 points to take first, and Ethan DiNinnio also of Cape Elizabeth scored 3.0 points to tie for second. 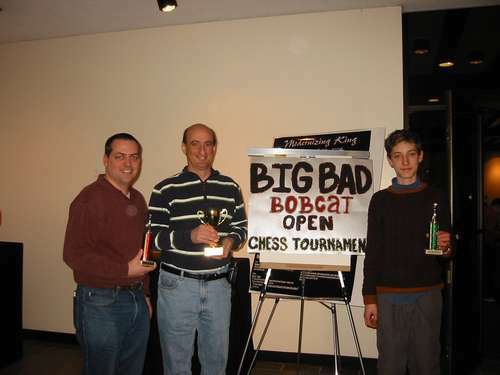 Father and son: Vincent A. Demarco (right) took second in the RBO while his son Vincent R. Demarco took ninth.